Have students try these activities to expand their knowledge and interest in immigration. Read about our Nation of Immigrants. As a homework assignment, have students ask someone at home about which countries their ancestors left to come to the United States. The following day distribute a few small sticky notes to each student and ask them to write their name on each piece. Then ask students to come up a few at a time to a large world map and stick their name on each of the countries where their ancestors were from. (Many students may have their name on several countries.) After all students have posted their names, ask questions about the map, such as “Which continent has the most ancestors of people in the class?” Have students use the map’s scale to determine the distance between their ancestor’s country and the city where they currently live. The end of a poem by Emma Lazarus is on a plaque near the Statue of Liberty. Have a volunteer find the entire poem by Emma Lazarus and read it aloud to the class. Other students can look for other poems about freedom to read to the class. 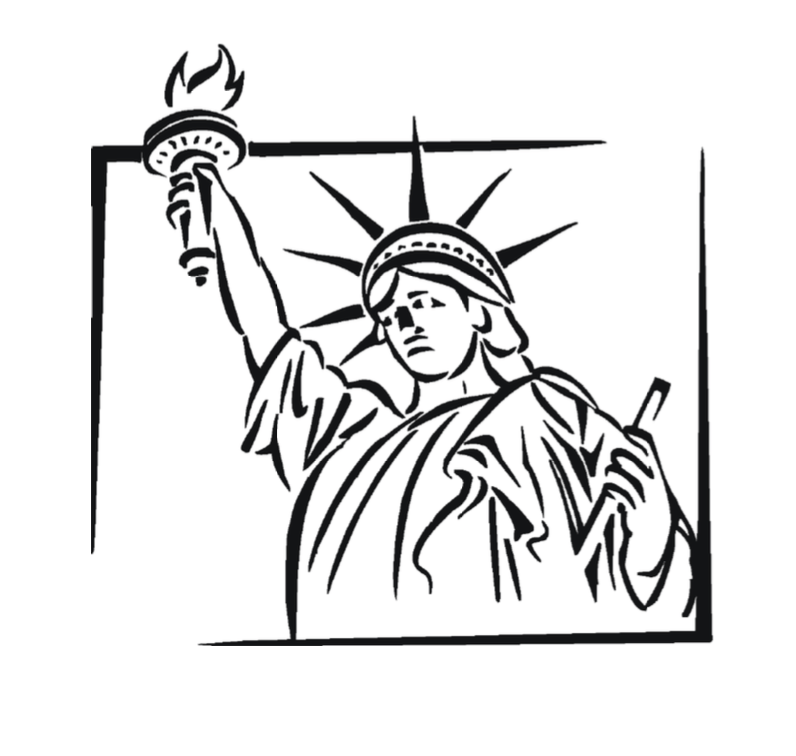 Encourage students to write their own poem about what freedom and liberty mean to them and to draw a picture that evokes the feelings of the poem. “Illustrious Immigrants” are featured at the bottom of many topics in this unit. Create a chart with all of these immigrants’ names along the side. Ask students to come up with five to eight facts they would like to know about each person, such as the year they were born, where they emigrated from, and how old they were when they came to America. Write these statements across the top of the chart. Encourage students to research the information on each immigrant to add to the chart. Finally, have students write three questions they would like to ask one of these people. Ask students to think of questions that reflect their awareness of the person’s culture and experiences. Ask students to name as many countries as they can (as many or more than the number of students in the class) while you write them on a piece of paper. Cut out the names and place them in a hat. Have each student draw a country name from the hat. Ask students to imagine that their family has decided to move to the country they have chosen. Have them write a diary entry for the day before they are to leave. Students should make up details that reveal their feelings about the move—positive and negative. Students should also write some of their ideas about why this is either a place they are eager to go to or one they wish they weren’t going to.